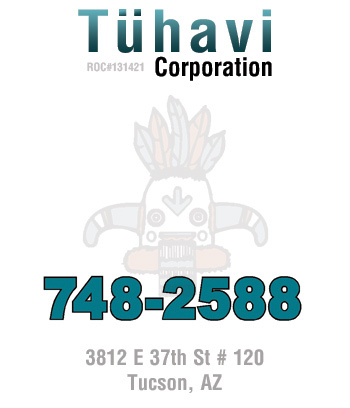 Tuhavi is a locally owned Tucson based residential and commercial construction company with over 30 years of breathing new life into existing Tucson homes. 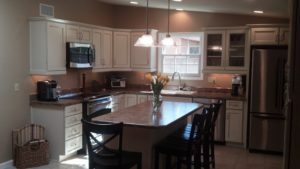 From kitchen and bathroom remodels to home additions and garages, our complete range of remodeling services are perfect to accomplish nearly any dream you’d like to come true. Home owners become dissatisfied with their existing home for a variety of reasons. It may not be large enough, or feel outdated or simply not offer the kind of functionality the home owner is looking for. However many times the home of your dreams is right under your feet with some changes. You may also spend significantly less money to add and alter your home to fit your needs than you would purchasing a new home. If you are in the situation where you are considering a new home, we invite you to call us today to discuss a potential remodel project. At the very least, you can make an educated decision on whether or not remodeling is the right choice for you. We can offer you a number of options to fit a variety of budget limitations. Our goal isn’t to be the lowest quote. Our goal is to provide the very best value by providing unparalleled service and quality. Our clients are those home owners that typically look for the provider that’s willing to provide the best value at a reasonable price that has the credentials and experience to back up their work. The final result is something that both Tuhavi and the home owner can take pride in. Poor craftsmanship does not stand the test of time and typically costs more in the long run than the amount saved by going with the rock-bottom bid. 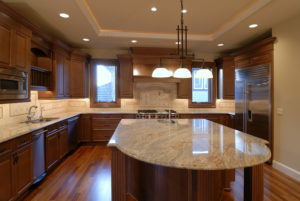 Communication: Home remodeling contractors should communicate well right from the beginning. Taking the time to answer questions and even offering thoughts of our own based on our experience is a part of our success. We educate our clients on the entire process. Lastly, we answer questions quickly with specific answers. Respect: Home remodeling contractors should not only respect your home and property, but also your time and knowledge. Our courteous professionals treat our clients and their families with respect and do all that they can do lessen the disturbance of our remodeling services. We also respect you by communicating with you directly about what is happening and what the next steps are, even if it’s not good news. We work with our clients as partners and solve problems. The very first step in our process is to get to know you. We want to understand what led you to the home that you own now, be it in a neighborhood or a custom home on a plot of land. And also what decisions have led you to consider either moving or remodeling. From pure functionality to needing an updated look and feel. Tuhavi will work with you closely to understand your wants, desires and budget. Our next step is to survey the area and inspect the home. This step is crucial because it gives us a first hand look at what the space looks like and also to go over your goals and even provide recommendations. Finally, Tuahvi will be there with you every step of the way. From regular site inspections and conversations to a regular breakdown of updates with pictures, we put extra attention into communication with you throughout the process. Sometimes the need for accessibility becomes necessary. Instead of looking to move into a more accessible home, you may consider first simply adding the necessary changes to your existing home. Tuhavi specializes in remodeling services specific to accessibility, such as ramps, doorways, pathways, bathrooms, showers, kitchens and much much more. Utilize our experience to help plan on meeting the needs of anyone with disabilities in your family or loved ones with our extensive set of services. Homes naturally deteriorate over time. By the time you are ready to move to a larger home, prepare a property for rental or need to move away, there is typically a list of needs prior to selling the home to get the most out of it’s value. What sets Tuhavi apart is that we work with you directly to accomplish your goals with the home. Our more than 30 years of experience can help you determine which upgrades and remodeling services will maximize the return on your home. Making modest changes to match the values of the neighborhood is crucial to properly selling your home and getting the most for it. Let us help you plan which changes make the most sense for your situation!